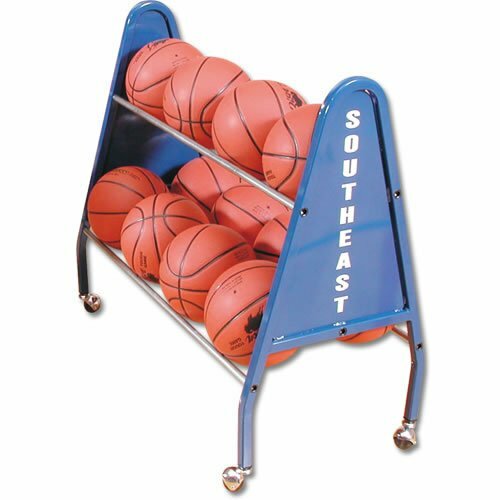 Arrange a collection of balls at the foul line or the top of the key with the Bison Heavy-Duty Basketball Cart, so players can work on their spot-up jump shot. Run through lengthier shooting drills before collecting errant shots with the two-level ball rack, which helps athletes get into a rhythm as they fire off shot after shot. Coaches can roll the cart out onto the court or back into the equipment closet when practice is over thanks to the four non-marring caster wheels, which help maintain a streak-free gym floor.